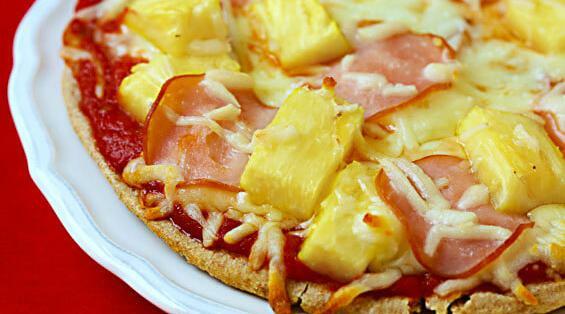 The additional happiness from putting pinapple on pizza does not outweight the pain that pinapple production causes. When you choose your pizza toppings it is more important to consider what is ethically right, than to consider your personal taste preference. This page actually says that the harmful effect that is a heavy pollutant and destroys the lives of people in the tropics are actually the herbicides used by some companies- not the pineapples themselves so this wouldn't be a relevant argument. Pineapples are usually grown in other countries outside of the US, like Costa Rica. If Americans really want an economically- and ecologically-sound toppings, then they really should support locally-grown ones (like bell peppers). This is not an argument on "pineapple on pizza" but on pineapple production in general. It doesn't have to be. This is all the more reason to push people towards sustainable growing methods if they opt for such challenge. common toppings, even if the industry is a heavy polluter.